Going green helps the environment and allows for an abundance of savings. By following the tips and tricks we provide, you could save several hundreds of dollars this year. Annually, doing laundry at home costs anywhere from $400-$800 dollars in electricity and water. Bosch is cutting that cost by providing appliances that have eco-friendly technology. EcoActionÂ® adjusts cycle temperature and length at the touch of a button. It reduces energy consumption by 10% in dryers and 20% in washers. EcoSmartâ„¢ uses a network of sensors that monitor load, size, temperature and cycle time to ensure no energy is wasted. 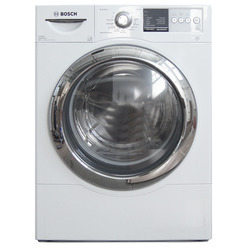 Another feature that the Bosch washers have is the ActiveWaterâ„¢ system that uses an average of thirteen gallons of water per cycle, or 64% less water per load than the industry average. Green cleaning ingredients are minimal and affordable. Most mixtures consist of vinegar, rubbing alcohol, lemon, water and baking soda. Vinegar mixtures are commonly used to clean the kitchen and bathrooms. It fights through the grime that builds up on cabinet surfaces and the bottom of sinks and bathtubs. Green cleaning will save $1,612 in five years. It would be unrealistic to turn off the air conditioning during the summer in Houston, however small adjustments will reduce the energy consumed, as well as the electric bill. Turning the air conditioning down by one degree will save 3% on the electric bill. Other tips for going green include turning down the temperature on the water heater, switching to a push mower and reducing the amount of times the grass is watered. Stop by K&N Sales to learn more about our eco-friendly appliances.